The shoulder is one of the most complex joints in the body. Unfortunately this complexity can predispose patients to a variety of conditions. Rotator cuff tendinitis, Subacromial impingement, “SLAP’ lesions, and degenerative changes can all occur in the shoulder. We can diagnose and treat your pain through a detailed history, physical exam, and comprehensive bedside ultrasound. Physical therapy and a variety of regenerative injections such as PRP or stem cells, can be employed to often times non surgically cure your condition. Neck pain can be caused by a variety of conditions. One is facet disease, or arthritis of the neck. These are joints that allow you to turn your head left and right and up and down. Just like a knuckle in your hand, they can become arthritic, painful, and enlarged over time. Patients will complain of pain that stays primarily in the neck but may also radiate up towards the base of the skull and out to the shoulder blades. Pain from diseased facets can be severe. Thankfully we have treatments that can help. We have seen great results injecting specific type of platelets or stem cells into aging facet joints great results. Radiculapathy is a term used to describe a pinched nerve as it exits the spine. The nerves pass through an opening called the neural foramen. Patients may have a bulging or collapsing disc, an enlarged facet joint, or both which can narrow this opening. Bone spurs can also form, all of which can put pressure on the nerve. The diagram on the lower right illustrates a herniated disc pressing on the nerve at it exits. Discs in the spine serve as both shock absorbers and spacers that lie between the bones of the spine. They have a fibrous outer ring called the annulus and a jelly middle called the nucleosus pulposis. The outer ring is constructed like a tire, with alternating fibers that mimic that or a radial tire lying on its side. Over time these radials can snap, and the disc begins to bulge. The outer portion of the disc has pain fibers while the inside does not. As the disc degenerates it starts to expose the outer pain fibers to the inner jelly middle, which is full of inflammatory mediators. Once that occurs, the disc itself can become painful and is now known as discogenic pain. Until recently we never had a good treatment for this. Recently we have started injecting PRP and stem cells into the disc with incredible results! Regenerative medicine is an all-natural biologic therapy using your own body’s stem cells or platelets. This therapy is designed to treat connective tissue ailments by supplementing the injured or damaged tissues with vital repair cells. Injections help restore powerful growth factors and proteins that help to fight inflammation and potentially repair damaged tissues throughout the body. Back pain can be caused by a variety of factors. One is facet disease, or degeneration of the joints of the low back. These joints allow the spine to rotate, flex, and extend. These joints are at risk of early degeneration due to a combination of extensive mobility and heavy loading with excessive activity and body weight. Facet disease is one of the most common causes of back pain. Patients will experience pain in the middle of the back that often radiates down the buttocks and into the back of the thighs. The diagram below shows the usual pain distribution. It usually feels worse with leaning back and rotating, and better with bending forward. Anything we can do to off load the spine will help with this condition. This includes weight loss, core strengthening, and back bracing. We have also seen great results with injection of stem cells or PRP into the facet joints which function to help restore any irritation and or inflammation of these joints. Radiculopathy is a term describing an irritated or pinched nerve as it exits the spine. This opening is called the neural foramen. The nerve can be compressed by a bulging disc, an enlarged facet joint, or settling from degenerative disc disease. Bone spurs can also form, all of which can put pressure on the nerve. The diagram?? below shows a torn annulus with the contents on the nerve. Patients will complain of back pain and spasm, as well as pain that radiates through the lower buttock down the leg into the foot. This pain is described as burning and numb. Severe cases will cause weakness in the leg or foot as well. The diagram below shows your where the pain is based on what nerve is being affected. Radiculopathy is diagnosed by history, physical exam, and imaging. EMG and nerve conduction studies may also be performed to provide objective information of potential nerve damage. Off loading the spine with weight loss, core strengthening, and back bracing can provide relief. Minimally invasive treatments such as epidural steroid injections with platelet lysate are very effective for mild to moderate conditions. Sometimes the compression is too severe and requires surgical correction. Patients will ask “why not just have surgery?”. As a pain physician I see two major reasons: adjacent level disease and postoperative fibrosis of the nerve roots. When you fuse a segment of the spine, that previously mobile segment is now rigid and results in altered normal forces above and below the fusion. Even with a perfect surgery, these forces accelerate the degenerative process across those areas leading to earlier breakdown. This is adjacent level disease. If you’re 80 years old this is not as concerning as if you’re 40 years old. The 40 year old has many years left and will likely need a revision along the way. You may need surgery, just be aware of this phenomenon. The next is postoperative fibrosis. A perfect surgery can still result in patients laying a bed of scar at the surgical site and encasing the their nerve root in scar. This can tether the root in place, and with movement results in repetitive pulling on the nerve instead of sliding like it normally does. Again, you may need surgery, and have a perfect surgery performed, but still lay scar. For these two reasons a strong effort at conservative therapy is worth trying and remaining devoted to over the long term. Discs in the spine serve as both shock absorbers and spacers that lie between the bones of the spine. They have a fibrous outer ring called the annulus and a jelly middle called the nucleosus pulposis. The outer ring is constructed like a tire with alternating criss-crossing fibers. Over time these radials can snap, and the disc begins to bulge. The outer portion of the disc has pain fibers while the inside does not. As the disc degenerates it starts to expose the outer pain fibers to the inner jelly middle, which is full of inflammatory mediators. Once that occurs, the disc itself can become painful and is now known as discogenic pain. This can be treated with epidural steroid injections, physical therapy, core strengthening, and back bracing. Surgery has been performed for discogenic pain but the results have been less than optimal. Until recently we never had a good treatment for this and surgery was our only option. Recently we have started injecting PRP and stem cells into the disc with incredible results! In our experience over 70% of patients have had significant improvement of their discogenic pain after such injections. Please schedule a consultation where we can discuss if any of these options are right for you. A trigger point is a localized area of muscle damage that remains in spasm and causes localized pain as well as referred pain. This condition is diagnosed by history and physical exam. This condition can be treated with deep tissue massage as well as trigger point injection. Osteoarthritis (OA) also called degenerative joint disease or “wear and tear” arthritis, is the most common chronic condition of the joints. This joint disease results from the breakdown of connective tissues in joint cartilage and underlying bone. The most common symptoms are joint pain and stiffness, which may occur only following exercise, but over time can become constant. Other symptoms may include joint swelling and decreased range of motion. Usually the problems come on over years, and can affect work and normal daily activities. Treatments range from medications such as NSAIDs, to Corticosteroid injections to joint replacement surgery. Regenerative Medicine may be used to treat the injured or damaged connective tissue of the joint that is contributing to discomfort and decreasing your mobility. If you are suffering from osteoarthritis, you can try Regenerative Medicine for a painless alternative to drugs, steroids or surgery. The Hip is a large joint that can cause pain. Repetitive use can cause bursitis or inflammation of the joint, tear of the labrum (joint supporting tissue), as well as degenerative arthritis. We will perform and history, physical exam, and live bedside ultrasound evaluation to diagnose and treat your condition. Minimally invasive injections can be used to both diagnose your pain as well as treat it. No matter what your condition our doctors can treat whatever modality is necessary to regain proper function with regenerative and restorative treatments. ACL, PCL, and Meniscus Tears are injuries of the connective tissue in the Knee. An ACL tear is the tearing of the Anterior Cruciate Ligament, which connects the upper leg bone (femur) and lower leg bone (shin). A PCL tear is a tear of the Posterior Cruciate Ligament, which is located within the knee joint where it stabilizes the articulating bones, particularly the femur and the tibia, during movement. A Meniscus tear is a tear of a ligament located in the front of the knee, which serves to “cushion” the joint. These connective tissue injuries are often the result of traumatic blows to the knee such as in a car accident, falling hard on your knee, landing on it wrong, etc. 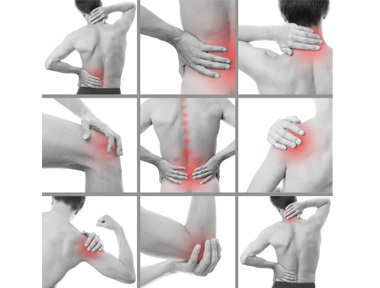 These injuries often result in inflammation, discomfort and in some cases instability. Surgery is most often recommended—until now. Regenerative medicine may be used to treat the damaged or poorly functioning connective tissue of the knee that is causing discomfort, inflammation, and decreased range of motion. If you are suffering from an ACL, PCL or Meniscal Tear, you can try Regenerative Medicine for an alternative to steroid injections and/or surgery. Chondromalacia patellae is inflammation or damage to the connective tissue of the cartilage at the back of the kneecap (patella). Patients often describe the discomfort to be “at the front of the knee”. Chondromalacia patellae may develop when the knee is overused or injured, making this is a common injury for runners. Regenerative Medicine may be used to treat the injured or poorly functioning connective tissue of the patella that is causing pain and decreased mobility. If you are suffering from Chondromalacia, you can try Regenerative Medicine for a painless alternative to cortisone injections and/or surgery. Regenerative Medicine is an all-natural biologic therapy that is designed to treat connective tissue ailments by supplementing the injured or damaged tissues. Regenerative Medicine fluid tissue matrix that provides powerful Growth Factors, Collagens, Extracellular Proteins and Bioactive Molecules naturally found in human placental tissues. These placental tissue components may provide your body with the foundation it needs to reduce inflammation, support proper tissue remodeling and avoid scar tissue formation. Foot and ankle pain is a common condition that makes even the most simple of tasks difficult to accomplish. Patient that are experiencing plantar fasciitis or even an ankle sprain may have difficulty or painful walking for long periods of time. Leaving these conditions untreated can lead to permanent damage as well as ongoing pain. Dr. Timothy and Peak Physiatry are able to address these common conditions earlier to optimize the healing and long term recovery so that you may go back to your activities of daily living sooner. We’re here to help with expert evaluation and an individually tailored treatment plans to get you back in the game. treat and heal a painful condition. Regenerative medicine itself isn’t new — the first bone marrow and solid-organ transplants were done decades ago. But advances in developmental and cell biology, immunology, and other fields have unlocked new opportunities to refine existing regenerative therapies and develop novel ones. Find out how Regenerative Medicine can help you. Call us at 970-901-1165 or fill in the appointment form.